The first part of the embroidery for the mage cap is done, now I just have to sew it to the felt cap and make more embroidery. I love embroidering on organza, a technique used by Michelle Carragher to embellish the game of thrones costumes. This was in 2010. 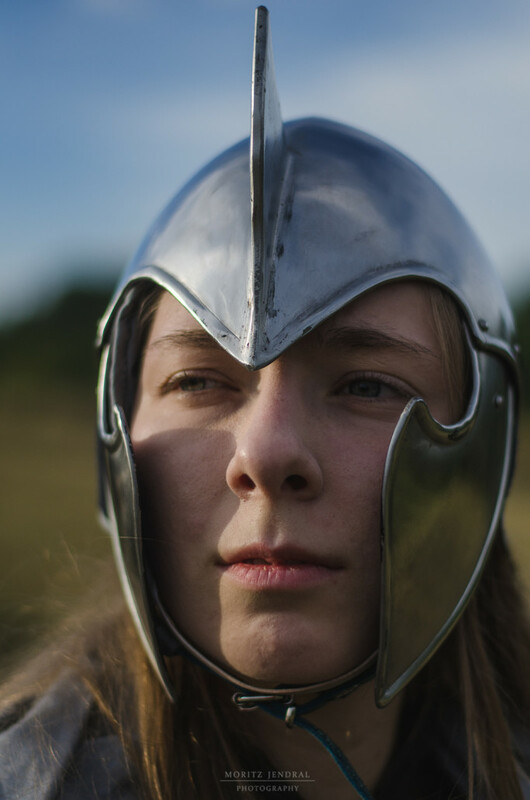 Nepenthe was an NPC apprentice mage on the “Zeit der Legenden” The costume was completely improvised, since I was originally supposed to play a different character. Since I have been asked about the hood a lot – It’s not even a real hood, but really just a rectangular piece of linen cloth. It’s draped to keep the sun of and to look cool and held together by two safety pins and a brooch. It worked out fairly well. I made a corset for my mage character. It’s not done yet, but there are a few in-progress photos I’d like to share. I took a tudor corset pattern and changed it to suit my needs. It is shorter than it’s historical counterparts, since I have to be able to move around in it a lot. I also made the upper edge pointing upwards to enhance the ArtDeco feel of this costume part. I used linen cloth for the lining and rattan for the lining. The outer layer is going to be brocade. The corset originally was going to have cording as well as a front clasp, but breathing proved really hard in this. So I decided to exchange the cording for 10 cm wide elastic straps. So It is more like a fake corset now. 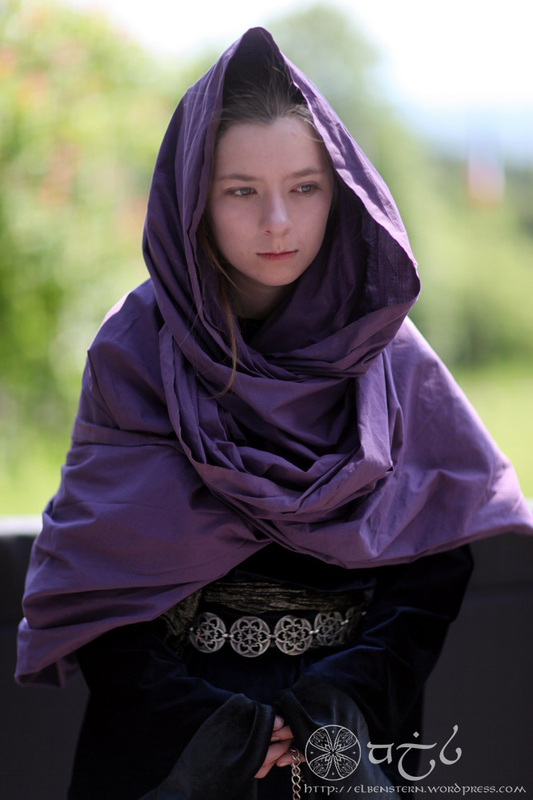 With the warm robes for my mage character almost done I have started to plan the rest of the costume. I have acquired a nice vougue pattern I will use for this project. Fort the robes I plan to work with paint and stencils as well as embroidery. 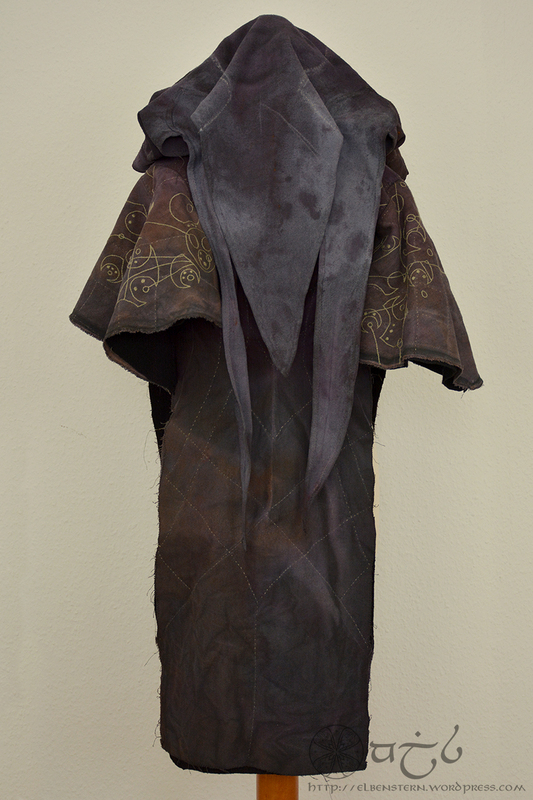 Both will be mostly tone in tone with the robe since the goal is to create a texture on the fabric. 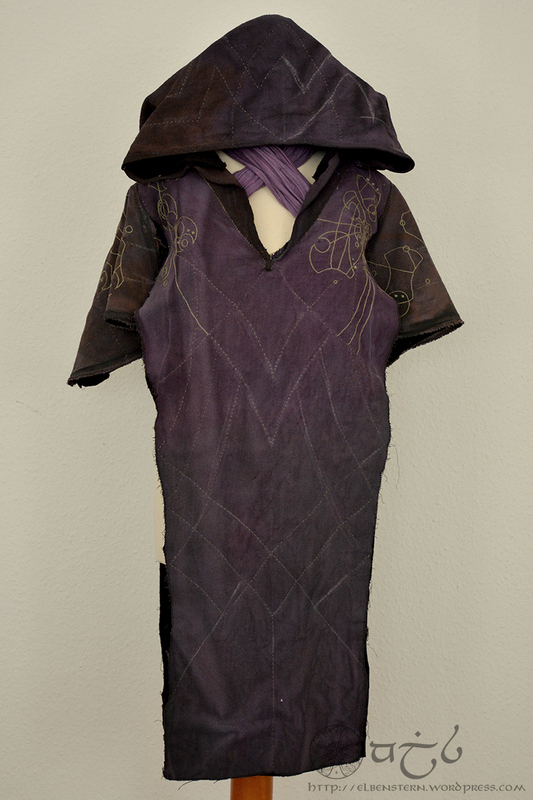 I have started piecing together the mage robes I have been working on. you can already see where this is going. 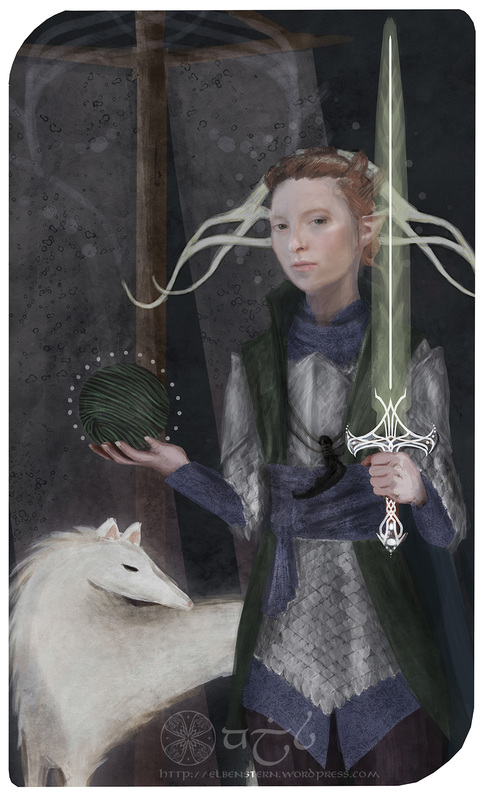 My Inquisitor’s Tarot Card. This took a while. I tried to mirror some of my first playthrough’s choices in here: The Night Enchanter’s Spirit Blade, Heavy Armour, Solas’ Necklace (an the wolf from his romance card) as well as the Orb that “misplaced” the anchor on her hand. Credit goes to Elandria for the hands.